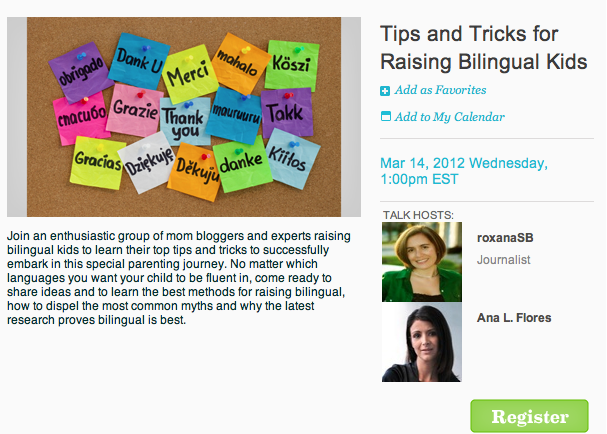 This Wednesday we´ll be hosting our very first Talk at The Motherhood.com and we know you will love it! The topic is near and dear to our hearts: Tips and Tricks for Raising Bilingual Kids. 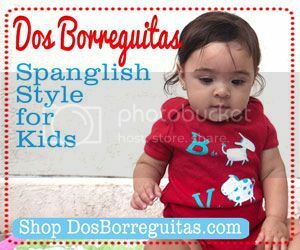 We´d love for you to stop by this Wednesday, March 14 at 1:00pm EST for a 30 minute chat to share any questions you have and also jump in with any of your tips and tricks for raising your kids bilingually. We all have them! Joining us as co-hosts for this first The Motherhood Talk is a group of fabulous mom bloggers from different backgrounds, ethnicities and languages, but who are all passionate about bilingual kids. 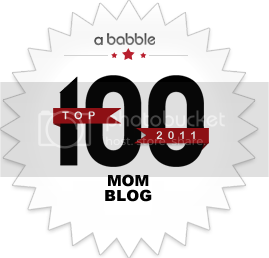 If you´ve never joined a The Motherhood talk, no worries, it´s super easy! First of all, you should go ahead and register now by going to our Talk page here. Once you´re registered, just make sure you log back in on time for our talk on Wednesday, March 14 at 1pm EST and just start chatting away. You can follow any of the questions posed by the hosts, or you can start your own thread by posting your own question/comment. 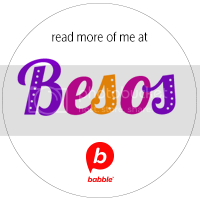 It´s pretty much like a blog comment thread on steroids! If you can´t make it to the talk on time (it´s only 30 minutes!) be on the look out for a blog post from us and from The Motherhood blog with a summary and highlights from the talk. You can also check out the Past Talks tab to see an archived version. Really hope to see you there and help us continue to spread this mission and movement of raising bilingual kids further and further and further!!! Help us share this via Twitter or anywhere else you´d like.